PosterRail is an attractive product specifically designed for indoor suspended posters and hanging banners used in exhibition halls, conferences and shop displays. 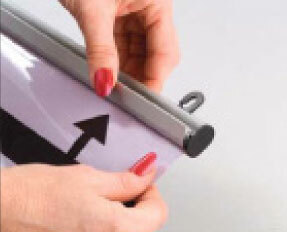 PosterRail is extremely easy to use and requires no edge preparation; simply cut to size and insert into the gap - close the cam plate to lock into place. It is a complete display system containing a T-slot at the top into which specially made hooks, eyes and other accessories can be inserted to hang the poster, end caps provided give a neat, professional finish. 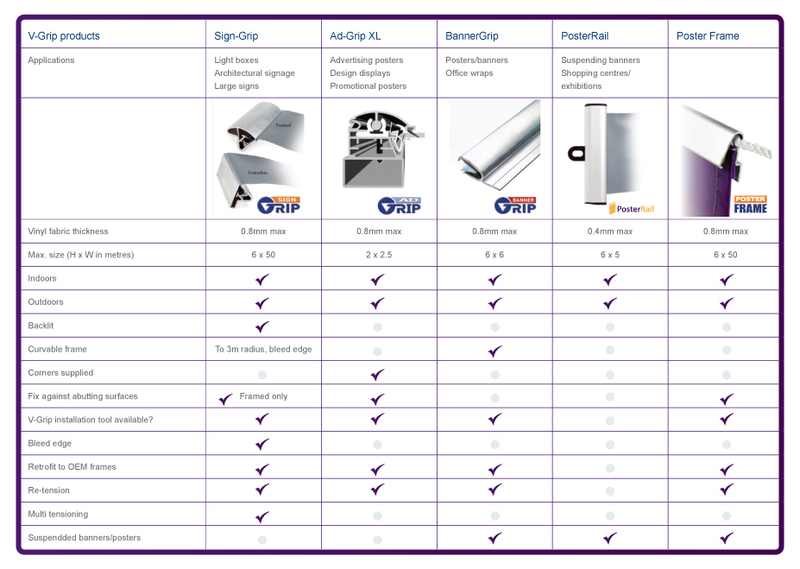 PosterRail is available in silver anodised finish in 3.1mtr lengths and purchased from V-Grip Pty Ltd Online.